About half of the globular proteins are composed of regular secondary structures, α-helices, and β-sheets, while the rest are constituted of irregular secondary structures, such as turns or coil conformations. Other regular secondary structures are often ignored, despite their importance in biological processes. Among such structures, the polyproline II helix (PPII) has interesting behaviours. PPIIs are not usually associated with conventional stabilizing interactions, and recent studies have observed that PPIIs are more frequent than anticipated. 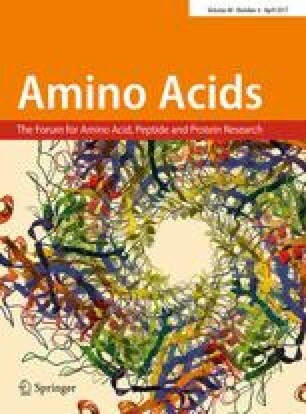 In addition, it is suggested that they may have an important functional role, particularly in protein–protein or protein–nucleic acid interactions and recognition. Residues associated with PPII conformations represent nearly 5% of the total residues, but the lack of PPII assignment approaches prevents their systematic analysis. This short review will present current knowledge and recent research in PPII area. In a first step, the different methodologies able to assign PPII are presented. In the second step, recent studies that have shown new perspectives in PPII analysis in terms of structure and function are underlined with three cases: (1) PPII in protein structures. For instance, the first crystal structure of an oligoproline adopting an all-trans polyproline II (PPII) helix had been presented; (2) the involvement of PPII in different diseases and drug designs; and (3) an interesting extension of PPII study in the protein dynamics. For instance, PPIIs are often linked to disorder region analysis and the precise analysis of a potential PPII helix in hypogonadism shows unanticipated PPII formations in the patient mutation, while it is not observed in the wild-type form of KISSR1 protein. We would like to thank Catherine Etchebest for fruitful discussions. This work was supported by grants from the Ministry of Research (France), University Paris Diderot, Sorbonne, Paris Cité (France), National Institute for Blood Transfusion (INTS, France), National Institute for Health and Medical Research (INSERM, France), and labex GR-Ex. The labex GR-Ex, reference ANR-11-LABX-0051 is funded by the program “Investissements d’avenir” of the French National Research Agency, reference ANR-11-IDEX-0005-02. TjrN, NSr, and AdB acknowledge to Indo-French Centre for the Promotion of Advanced Research/CEFIPRA for collaborative grant (number 5302-2). NSh acknowledges support from ANRT (CIFRE convention number 2015/0832). NSr acknowledges for J.C. Bose fellowship and general support from DBT. AMV is supported by Allocations Regionales de Researche grant from Region Reunion.